Do you have a stressful life, high blood pressure, insomnia? Believe it or not, fish can help! Keeping an aquarium may be good therapy for you. Studies have shown that gazing at aquarium fish reduces stress and subsequently lowers blood pressure. Due to their graceful swimming, color and elegant physical appearances, aquarium fish have become creatures that are very pleasing to our eyes. The peaceful nature and attractiveness of an aquarium has been shown to also significantly reduce stress and blood pressure levels. Even gazing at a decorative fish-less tank has proven to assist in reducing stress and high blood pressure. The more attractive your tank is, the bigger the health benefits will be. A fish tank has the potential of having many positive benefits. However, you must properly place and care for the aquarium in order to attract the positive flow of energy. With the correct placement, set up and care, the aquarium is a perfect combination of harmony and balance. The water symbolizes the flow of life, of growth and the activities of living things. The motion and sounds of the bubbling water as it moves throughout the fish tank activates and increases the positive energy of the area bringing good fortune, wealth and abundance. 1. Pets not only provide us with companionship by making us feel accepted secure and happy, but they act as an anchor that helps us cope with everyday stress. 2. Insomnia: If you suffer from insomnia (reduced sleep) keeping an aquarium at home may bring peaceful sleep to you. 3. Heart Attacks: Research has shown that heart attack victims who have pets live longer. Whether it’s a saltwater aquarium or a freshwater aquarium, watching those beautiful fish going about their daily business is great for your stress levels and your blood pressure. Numerous studies have shown that watching aquarium fish can make you feel calm, reducing feelings of anxiety and so help bring down your blood pressure. Now we know why so many doctors’ and dentists’ waiting rooms have aquariums; you’ll feel a bit more relaxed by the time you get to see your physician. 3. Blood pressure: Lowered blood pressure is one way to measure the reduction in stress. Many ailments are associated with high stress in our daily lives, including heart attacks, sleep disorders and ulcers. When we watch fish swimming, we are hypnotized by their peaceful and serene nature. For a few moments, they create a calming effect in our hectic lives. Researchers have made comparisons of the effects of hypnosis vs. watching an aquarium and the result has been that having some kind of aquarium definitely reduced blood pressure. Even watching a video of fish can have therapeutic effects. 4. Aquarium effects in kids: Have you heard of dolphins helping children with different emotional disorders? Well, some studies also showed that watching fish in an aquarium calmed children diagnosed with attention deficit/hyperactivity disorder, ADHD. 5. Aquarium Effect on Alzheimer’s: Studies have shown that seniors who have Alzheimer’s experience a variety of health benefits from watching an aquarium. Alzheimer patients ate more, and required fewer supplements after an aquarium was placed in the dining room. They also exhibited less physically aggressive behaviors. 6. Effect on pain: As we discussed before, many dental and medical offices have fish tanks in their waiting rooms. Dental patients who were subjected to hypnosis vs. an aquarium experienced the same or greater benefit from the aquarium. Other studies have shown that dental patients required less pain medication after having watched fish. In general, watching fish swim to and fro lowers the stress of waiting to be examined by any doctor. 7. Aquarium effects in seniors: Seniors who were provided with an aquarium filled with fish had significant blood pressure reduction. They also ate more, and required fewer supplements after an aquarium was placed in the dining room. The sight of fish tank makes them happy and tension free. 8. Educational for the kids: Your kids can really get the benefits of aquariums, especially if you get them involved right at the beginning. Get them to do some research about aquarium ownership and write down their findings. They could also research which fish they would like. The set up is important and they will learn the importance of the right pet care. Kids will learn about discipline too, as they form a routine for feeding and maintaining their fish. There are endless ways that children will benefit from an aquarium and their imaginations can run wild when they are setting it up – let them have fun with it!! 9. Additional Benefits of a Fish Tank: If the aquarium is located in a room that is dry, it helps to balance the energy by adding humidity to the air. Also, the moving water in the aquarium has the power to revitalize energy that was stagnant or dormant. Virtually any aquarium, from large to small, will have benefits. A large aquarium is wonderful, but if space is limited, a mini-aquarium will do the trick. So, besides their obvious beauty (when they are well taken care of) aquarium tanks can improve your life in many other ways. When you come home from work, or when you finally put the kids to bed… prop your feet up and watch your fish swim serenely through your aquarium, watch the plants or the coral swaying rhythmically… relax and enjoy. 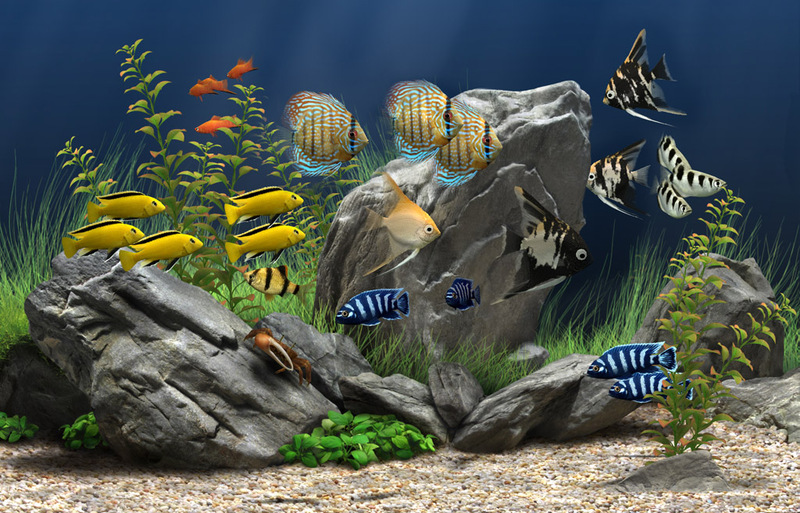 Fish aquarium is a good remedial measure for any Vastu defect. In a house, every object and direction has Vastu significance. Placing them or constructing them according to the Vastu principles will make your life brimming with positive energy. Vastu, the Vedic science is a practical and result oriented concept, which is practiced to have a prosperous and harmonious life. It is believed that the problems in an individual’s life are due to the lack of proper Vastu. Seeking the help of a Vastu consultant will relieve you away from all the ailments ranging from health to financial and others. As mentioned earlier, every object and space/direction in a house is associated with Vastu and where there is a defective Vastu, there tend to be problems. In such cases, Vastu specialists have suggested a few fortuity signs for a defective Vastu. According to Vastu specialists, having a fish aquarium in a dwelling is considered a good remedial measure for any Vastu defect. Not just a home but also for an office, shop, school, factory and other residing places can have an aquarium to eliminate the defective Vastu problems. This Vastu principle of having a fish aquarium at your place is applicable across all religions. The number of fishes in an aquarium should be nine in which, eight can be either dragon fish or gold fish and one could be a black fish. You need not fret if a fish dies, immediately replace the fish with another one. It is strictly advised that the fish feed should be planned and fed by only one person. The tank or the bowl should be cleaned regularly. Necessary requisites like filters, aeration and water circulation are required in order to maintain the tank. 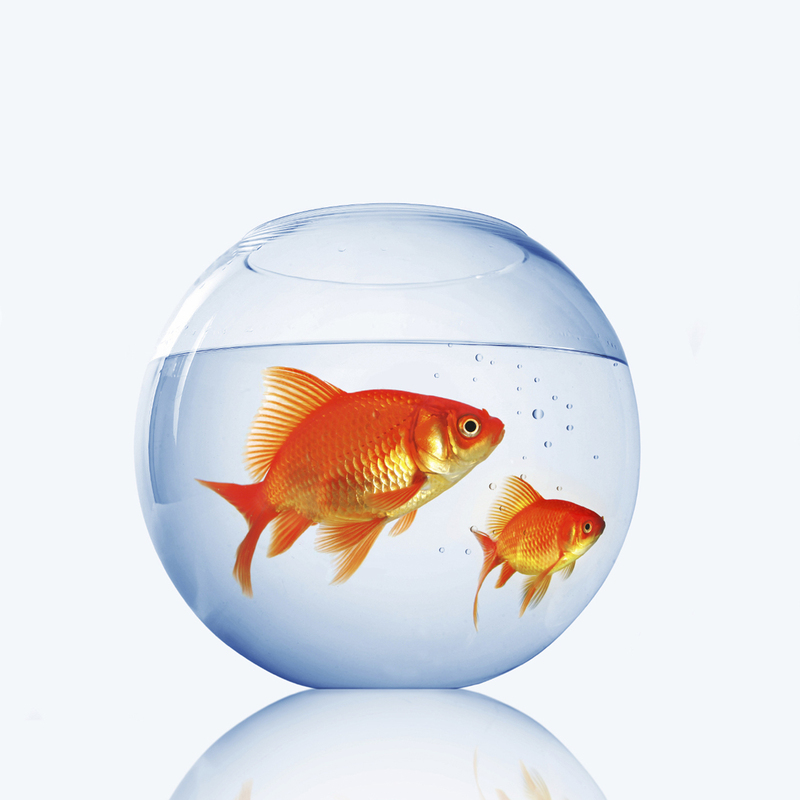 Except for your living/drawing room, an aquarium cannot be placed in any other room. To make it more attractive you can add colorful lights and other accessories to it. 1. A fish aquarium tends to free your home from all the evils and maintains a serene, fortuity atmosphere. 2. It is also believed that each time a fish dies naturally, so does your problem at home or office. 3. This is one of the best ways to attract the energy of wealth at home or office. 4. In addition, an aquarium tends to relax your mind and create a calm atmosphere. 5. If you are witnessing problems at home or office and predict that this is the result of a defective Vastu , placing a fish aquarium is the best option. Doing this will also resolve your financial crisis. 6. Vastu specialists believe that feeding a fish can add up to your good deeds as a result you will be free from evils at your home. 7. These fishes are quite active almost the entire day and motivate the observer. In addition, if you observe these fishes for a while, you tend be energetic and will be free from all the worries. 8. One of the major advantages of having an aquarium is to deviate the jinx of a visitor from the entire home to the aquarium. The bad energies, which are created all over the house, can be transformed by glancing at the colorful attractive fishes. This in turn produces positive energy. 9. As per Vastu Shastra, a fish tank stores a lot of water and can balance the weight in an accurate way. In order to balance the weight, a fish tank can be kept in a veranda or a hall in the South-West corner. It should be placed in a prominent place where every visitor can see it. 10. According to the Chinese Feng Shui method, the rapid movement of the fishes in a tank increases the active energy in a home which is known as “Chi”. This also results in the increase in good health and wealth.